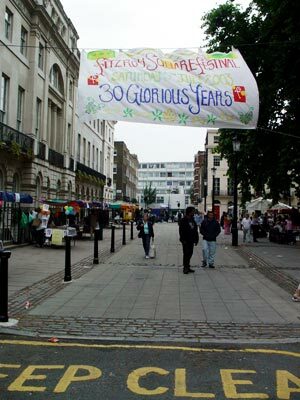 Fitzroy Square hosts an annual festival, put on by the Fitzrovia Community Festival and Community Action group. Formed in the 1970s, this a well established residents group successfully fought off several redevelopment plans. The square has a rich history, with former occupants including Ford Madox Brown, Lord Salisbury, George Bernard Shaw and Virginia Wolfe.